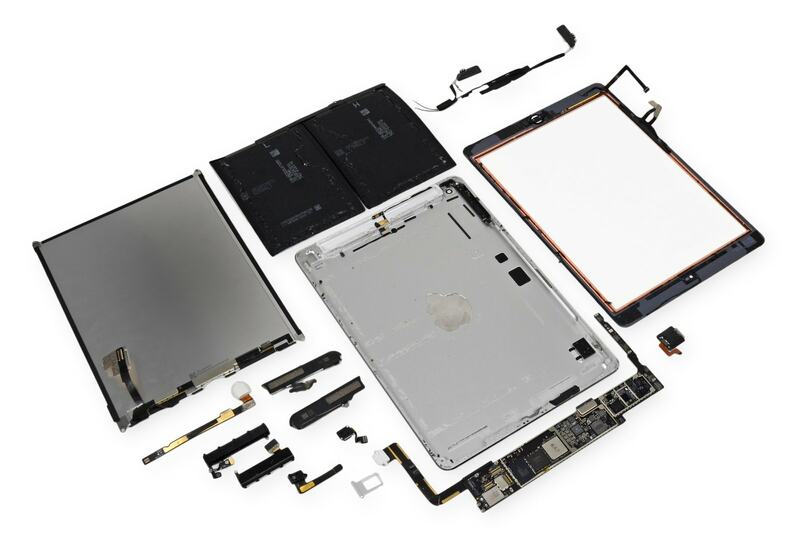 Apple's latest tablet is officially in stores today and iFixit has already finished ripping one apart. The teardown specialists found the 2 huge batteries we were expecting as well as the usual cameras, circuit board, and cables. 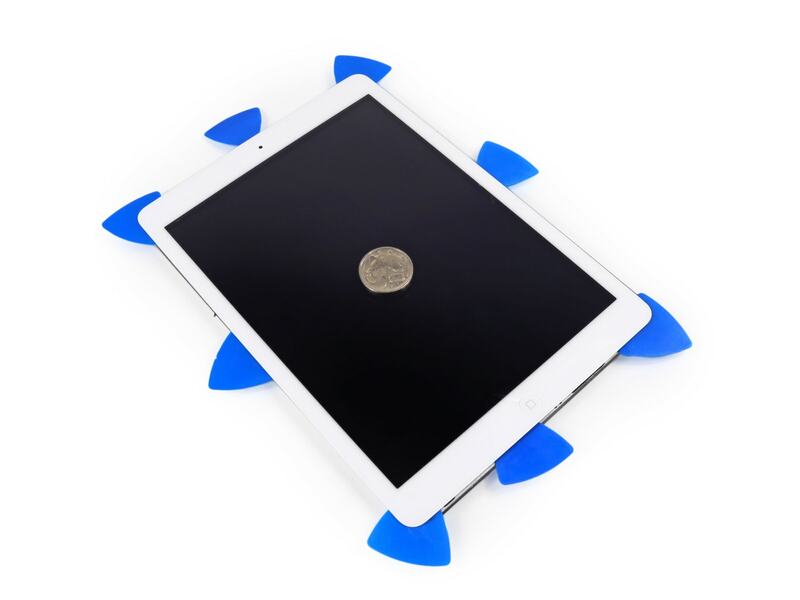 All in all the guts of the iPad Air looked pretty much like the last iPad even though the iPad Air is 20% thinner, 28% lighter, and 24% reduced in volume when compared to the iPad 4.
iFixit gave the iPad Air a repairability rating of 2, which more or less says that it is not repairable by the average geek. That's the same rating that iFixit gave the iPad 4, the iPad Mini, and probably all the other iPads, so it should come as no great shock. According to iMore, each individual Touch ID sensor is paired with its corresponding A7 processor. To confirm the pairing theory, iMore switched the Touch ID sensors from two brand new iPhones and attempted to setup each device. Each phone failed to recognize the sensors and returned an error until the sensors were swapped back to their original phones. I can appreciate the increase in security, but - well, no. There is no increase in security. Can you honestly tell me that wouldn't happen? For frequent movie -goers and television watchers, cutting off the body part to gain access is already well known for years , and is already an old solution .